You can only make a first impression ONCE! The perfect invitation really sets the tone to your event and it should be a reflection of your personality and the events theme. 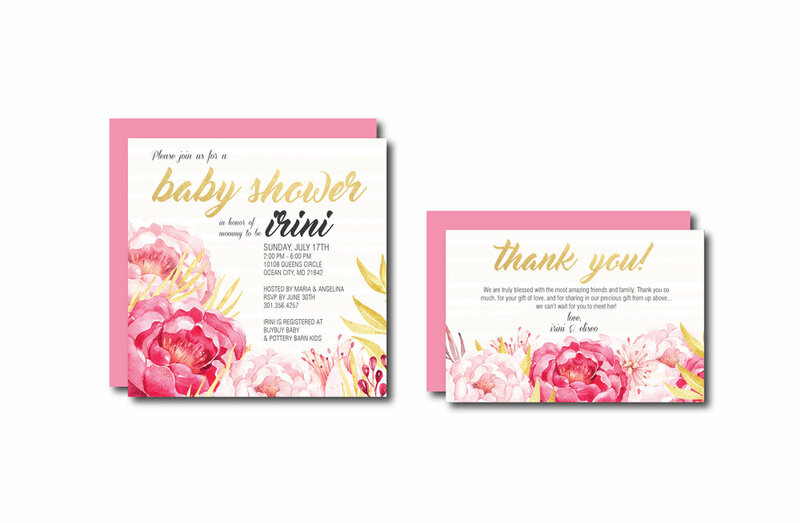 Here at My Sweet Array, we add your personality to our designs for an invitation they'll gladly accept. Pricing ranges from $15-25 per set depending on the number of pieces in your package. Envelopments and Custom Designed and Cut Belly Bands complete the look!